Mysterious symbols on a busy road near my house. 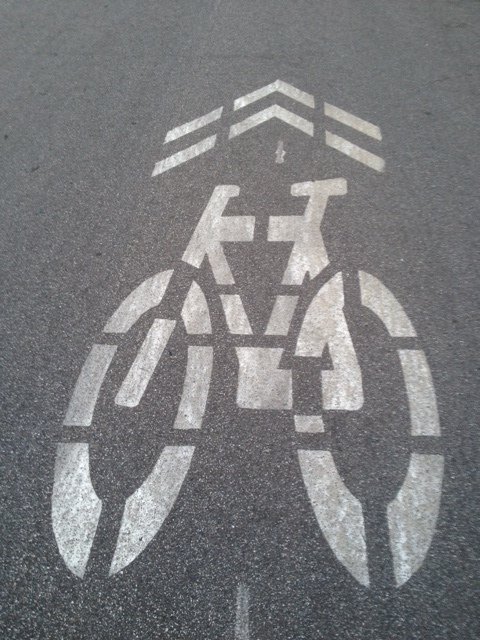 Bike riders on this path ascend quickly to heaven? Glasses and an angry unibrow? Lenny the binoculars from Toy Story. Totally. Or: the top looks like a roof. Mobile Home ahead?